How You Can Easily Save Up To S$300 Per Month With This One Website! Money, something we have a huge love hate relationship with. We love it because it gives us control. We hate it, because it also controls us, and we can never have enough of it. 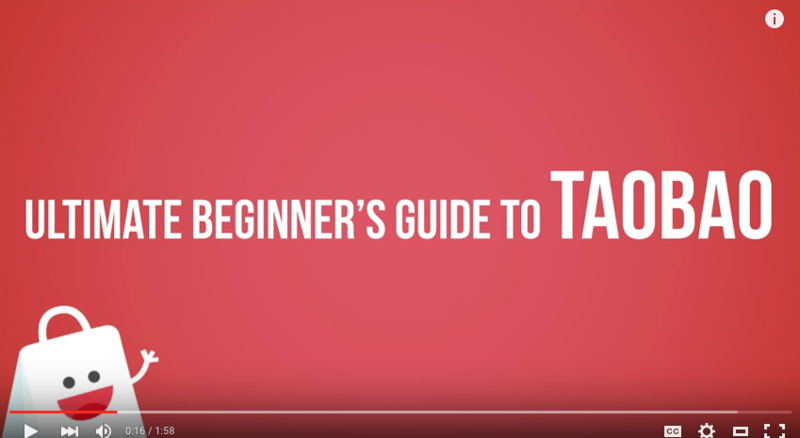 A lot of information out there on the web teaches you how to save money via many different ways, however, they are all very messy and disorganised, and there is no one website that allows you to have all your savings in one place. Most of you might not realise this, but if you do your shopping online, you can actually enjoy a lot of savings and even cash backs. If you buy groceries, you’d have heard about Redmart. 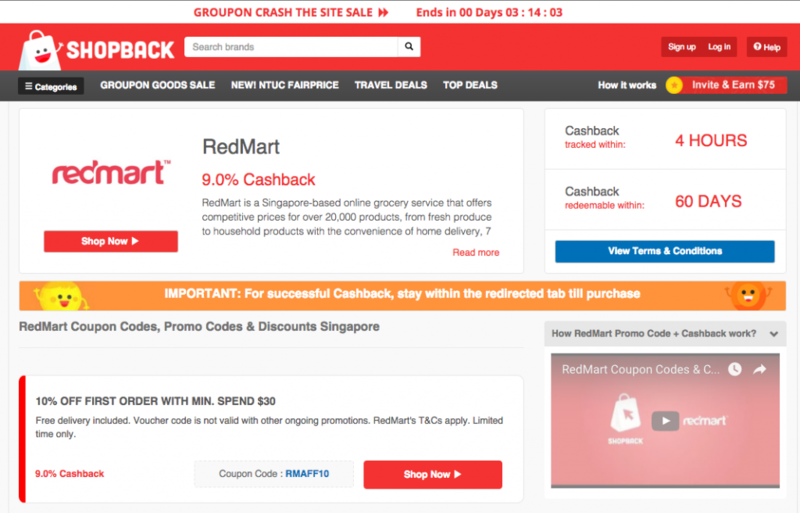 Shopping on Redmart via Shopback entitles you up to 9% cash back on all your purchases. That’s a saving of S$36 per month if you spend more than S$100 in groceries per week. Most of us might have a credit card. But if don’t have one, you can sign up for an ANZ credit card via ShopBack to get a $40 Cashback in your ShopBack account. 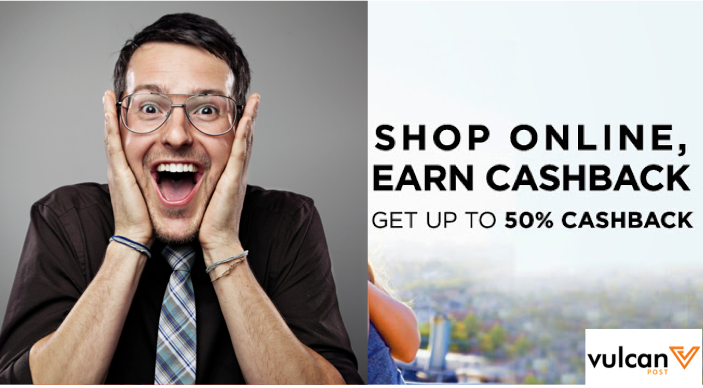 ANZ credit cards also gives you 5% cash rebate on most of your shopping spendings, and the best part, there are no limit on rebate earnings and there are no minimum spend. 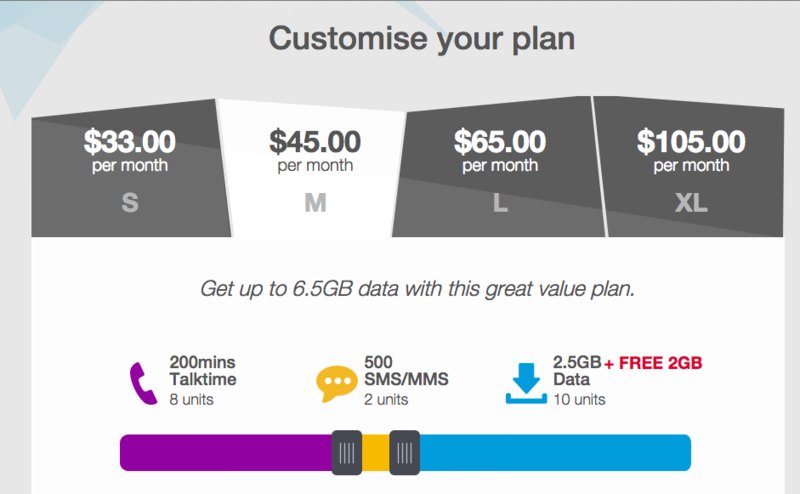 Another way to quickly save S$20 is via Singtel. Unknown to some of you, Singtel has this Easy Mobile platform that allows you to adjust your talktime, SMS and data usage to your exact needs. It’s now on ShopBack and you’ll get S$20 cash back when you sign on a plan with Singtel via Shopback. You probably spend more on clothing per month than you should. If you are, there are a handful of stores that have partnered with ShopBack to reward you with cash back whenever you shop online. Take Zalora for example, which offers up to 12% cash back to you. If you shop once a month on fashion with S$250 on Zalora, you can save up to S$30 per month. Adding a further S$200 monthly spend on Sephora, you can save a further S$10 via cash back. Taobao, one of the largest online shopping site in the world, lets you shop from tens of thousands of merchants, featuring millions of affordable and quality products. If you are looking to spice up your house – anything from floor tiles to lamps to bedroom, Taobao is the place to hunt for great and affordable products. With Shopback, you and save up to 10% in cash back when you shop from Taobao. Assuming you spend S$1000 purchasing furniture and other items from Taobao, you can save up to S$100. Another significant spending on our wallet would be electronics, especially since there are new product launches every other week. Just recently, Samsung announced the launch of its new Samsung S7, which you can get great savings if you purchase it via Lazada, rewarding you with a 12% cash back. If you are purchasing other electronics via Shopback, you generally get 2-4% cash back too. Putting that in context, buying a S$1000 TV lets you get up to S$40 in cash back on top of all the credit card promos and voucher codes on Lazada. Booking a trip for 2? Spending $1000 on Expedia via ShopBack (8% Cashback) will help you save S$80. Alternatively if you’re going for cheaper, shorter holidays, you can also get S$10 Cashback from Agoda or Booking.com. Eating out probably takes up a big portion of our monthly expenses. Undeniably, one of most obvious way of saving money is to purchase group buying deals from sites like Groupon. There are several coupons everyday which provides you between 30% – 80% discounts on restaurants. Assuming you spend S$30 per meal, and you eat out 3 times a week, that’s an expenditure of S$360 per month on food. If you are smart about it, you can save a minimum of 30% on that via group buying deals, and also earn up to 5% cash back via Shopback. 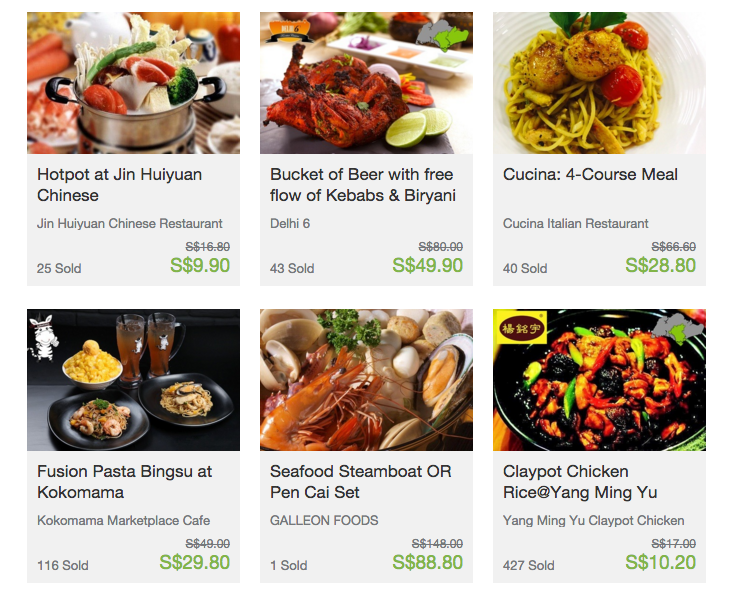 Total savings via Groupon: S$108 or more. Adding all of this savings, you end up saving a minimum of S$300 this month easily, all using just one website. You can also sign up today and get a S$5 bonus.